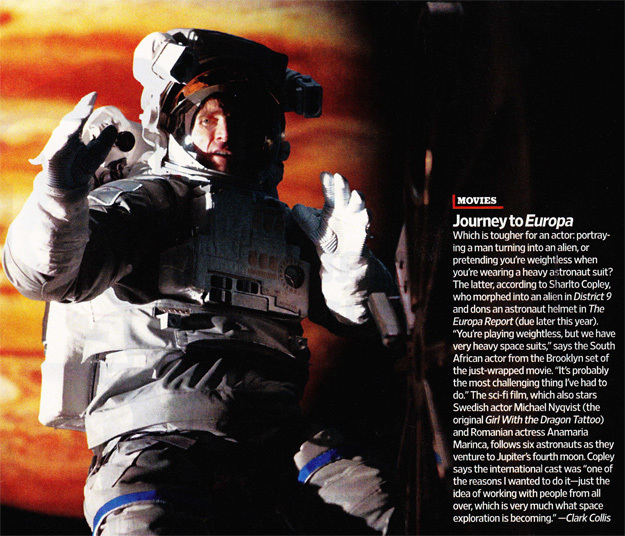 First Look: Sharlto Copley in Sebastian Cordero’s Sci-Fi Thriller 'THE EUROPA REPORT'! EW has unveiled a first look at Sharlto Copley [District 9] in Sebastian Cordero's sci-fi thriller The Europa Report. The movie also stars Michael Nyqvist, Anamaria Marinca, Christian Camargo, Daniel Wu & Karolina Wydra. 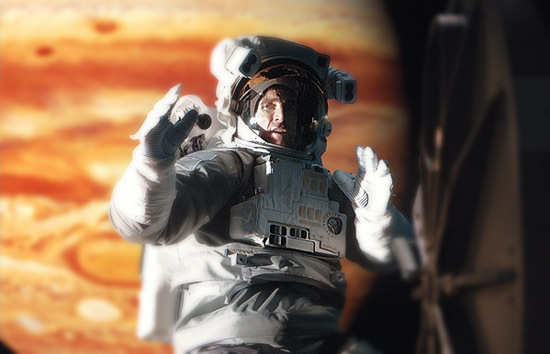 The Europa Report follows a six member astronaut crew from various space stations who are sent by a private corporation to be the first manned mission to Jupiter’s fourth moon in search of extraterrestrial life. The movie is scheduled for release later this year. Hit the jump for the details. Plot Summary: "A group of astronauts, handpicked from around the world, make the arduous journey to Jupiter's frigid, glacial moon Europa in search of extraterrestrial life. The only thing more intimidating and unpredictable than the trip itself is what the team will encounter upon arrival..."
I'm reading: First Look: Sharlto Copley in Sebastian Cordero’s Sci-Fi Thriller 'THE EUROPA REPORT'!Tweet this!